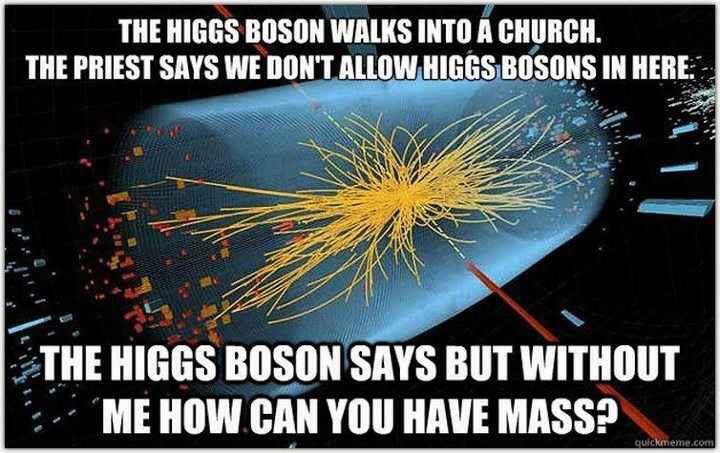 This week, the Higgs boson’s discovery seems imminent. It isn’t “discovered” in the sense, because the standard model does make the assumption that the Higgs did already exist. If it did not, that would be a fascinating blow to science. Again, the discovery itself is a huge deal. It doesn’t immediately have direct consumer application (like hover boards) but is a stepping stone into a new era of science. The video above explains the concept of the particle as the one responsible for the meaning of mass. the god particle 🙂 Lucky you get to meet the people from CERN!